Normally, the planned absence of a team’s starting point guard is noted far before the start of the game. Rose is also not dealing with any immediate injuries, and if the team was holding him out for medical reasons, they’d likely have noted it. 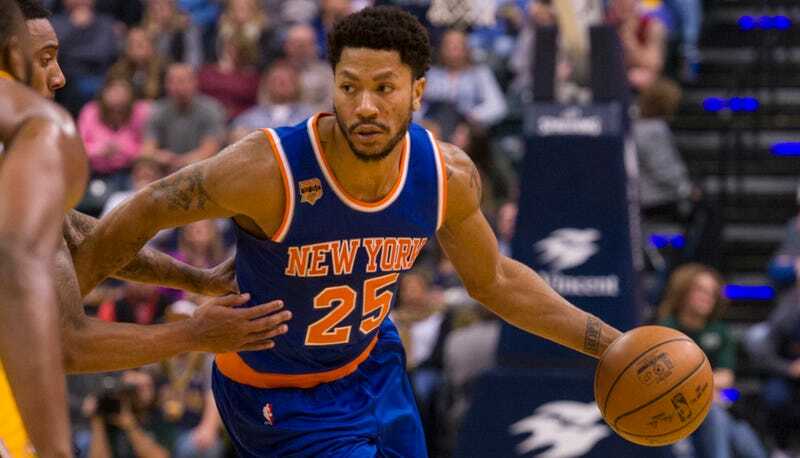 Adrian Wojnarowski reported this evening that nobody really knew where Rose was, but that he was “unhappy” by getting benched on Friday. He’s not with the team. We’ll update this post if more information becomes immediately available. Update, 10:10 p.m. EST: Rose was at shootaround this morning. Update, 10:35 p.m. EST: Rose is apparently “OK,” whatever that means. Update, 10:42 p.m. EST: Rose might not be in New York. Update, 11:20 p.m. EST: Here’s the first bit of info as to why he missed the game.